The Celestial Church of Christ. 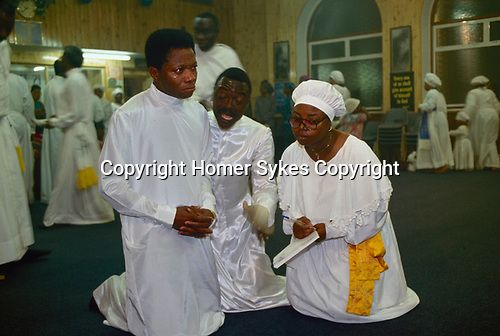 Evangelist Ebenezer in prayer as a scribe takes down the words of the man speaking in tongues, he is in spirit. East London 1990.